Ladies/Gents: if you are like me you haven’t finished your Easter baskets. Well I have a great idea for you; run to Walmart and grab the new absolutely adorable My Little Pony: The Movie toys and playsets! These are super cute and colorful! We are checking out Twilight Sparkle & Songbird Serenade (super adorable play set with two pony’s and mirror set). 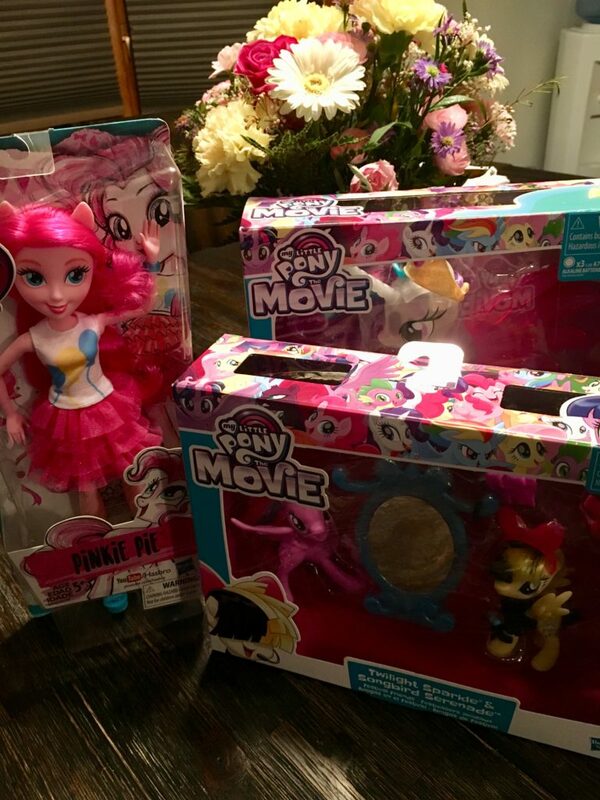 The Equestria Girls line of dolls are just perfect for playdate imaginations! My daughter is loving her “pinkie pie” doll with “the coolest pink hair in the world”. Princess Celestia glows such pretty LED colors by the push of a button. Each of these sets/dolls range in price from $9.99 – $19.99 making them the perfect holiday basket add-on! Check them out! Finish those baskets!